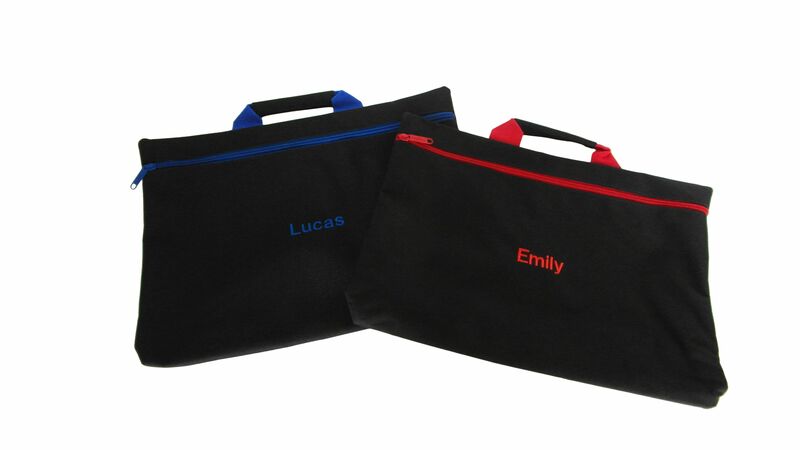 Personalised book bag with easy zip closure. Embroidered name or text of up to 12 letters on each of three lines. Ideal for younger children with easy zip closure. Measures 38 x 27 x 5cm approx.